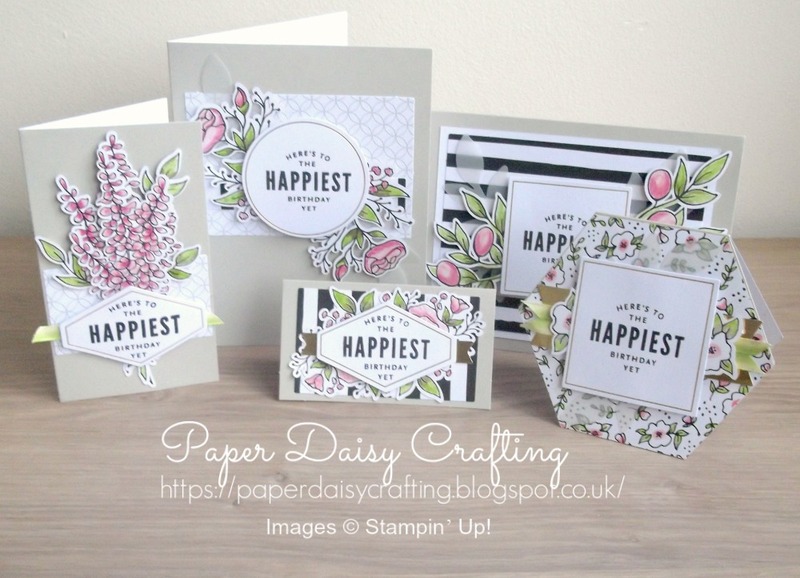 Paper Daisy Crafting: Lots of Happy Card Kit from Stampin' Up! Lots of Happy Card Kit from Stampin' Up! 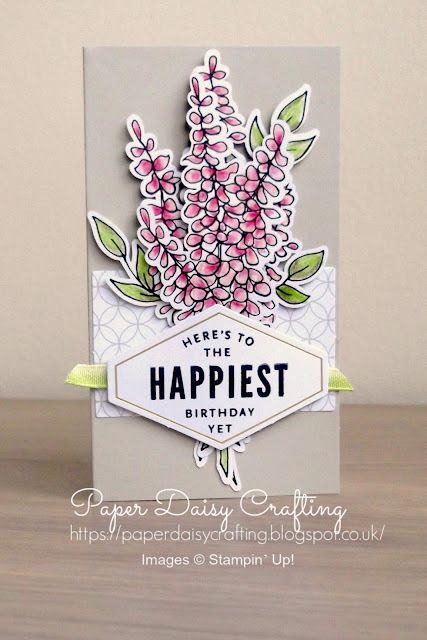 I'm back today to show you in more detail one of the kits from the new Spring Summer catalogue. 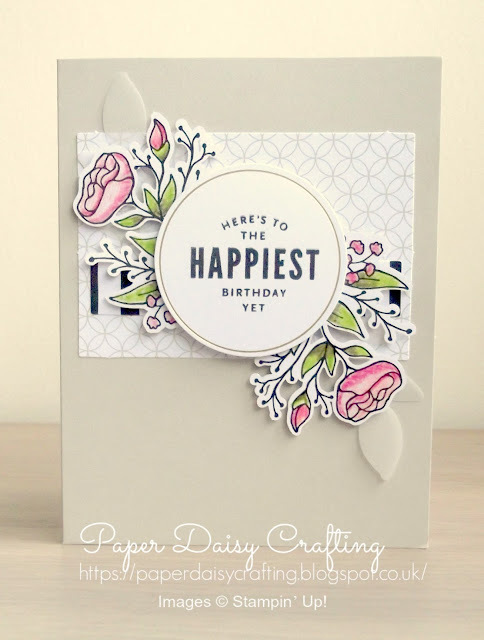 I have to be honest, in the past I haven't really been a huge fan of any of the kits that Stampin' Up! have come up with. But all that has changed now - I absolutely LOVE this kit. This photo shows the cards that you can make from the kit if you follow the instructions in the booklet provided. I think they are so pretty. 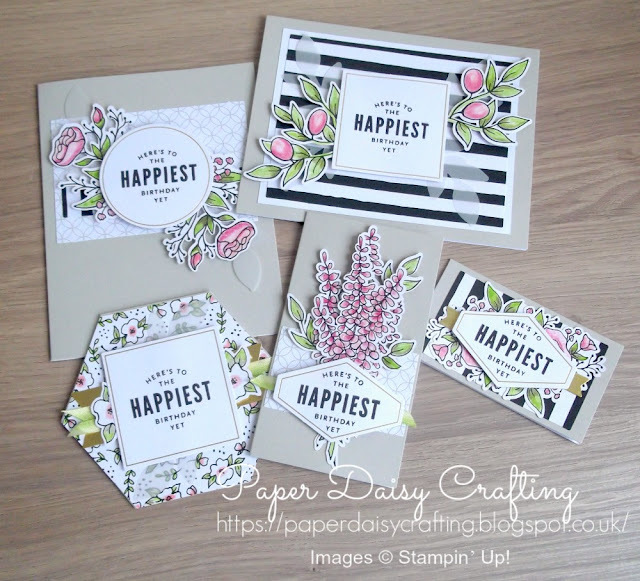 You can make 4 of each of these cards and the best bit is that absolutely everything you will need, apart from scissors and and glue, are included in the kit. Obviously all the card blanks, envelopes, card stock, die cuts and embellishments are provided. But you will also find 4 watercolour pencils (two of which are exclusive colours only available in this kit), a stamp set with 5 greetings and two floral images, a clear block, a black Stampin' Spot and a length of ribbon. And it all comes packaged in a lovely striped kraft gift box. 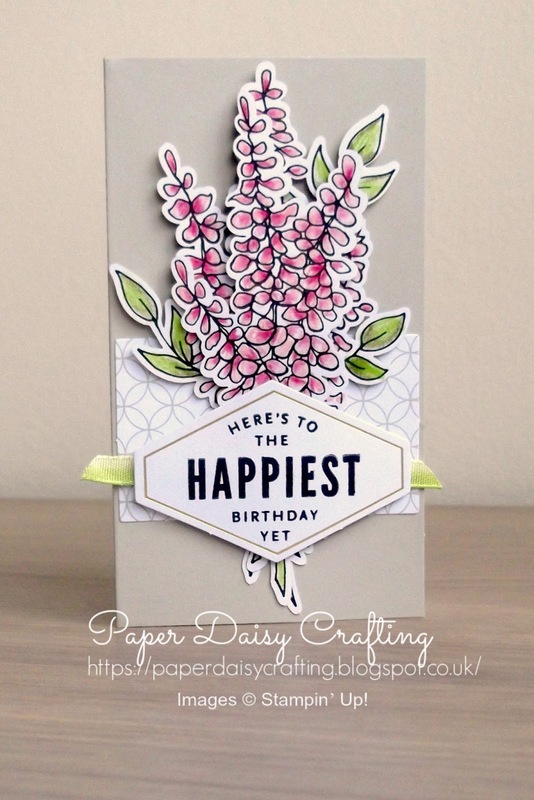 I had such a great time colouring in all the elements for my cards and it was so easy to do and get a really professional result! 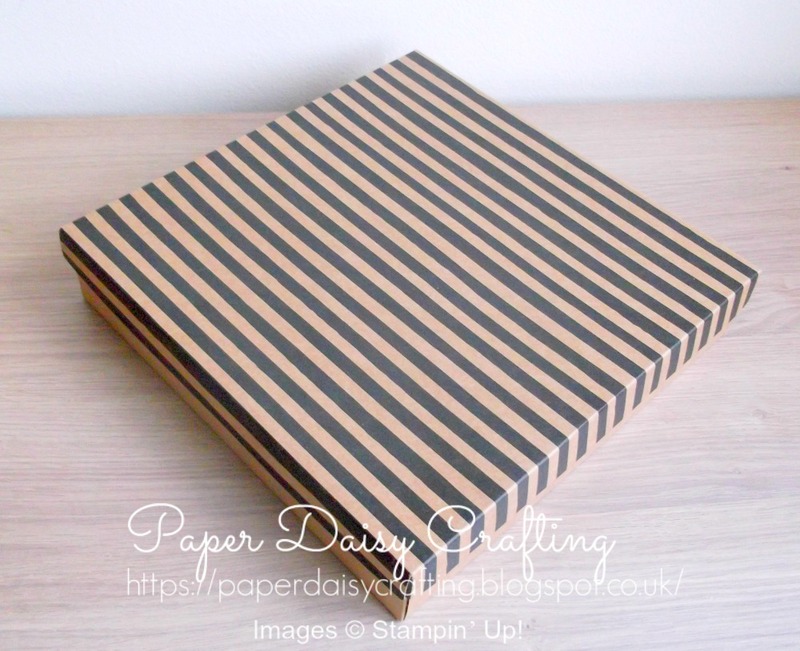 It struck me that this kit would make a great gift for anyone who likes to craft, or even someone who doesn't yet know that they like to craft! Or it would be a lovely kit to take on holiday to complete - would be great to know that everything needed is in the box! 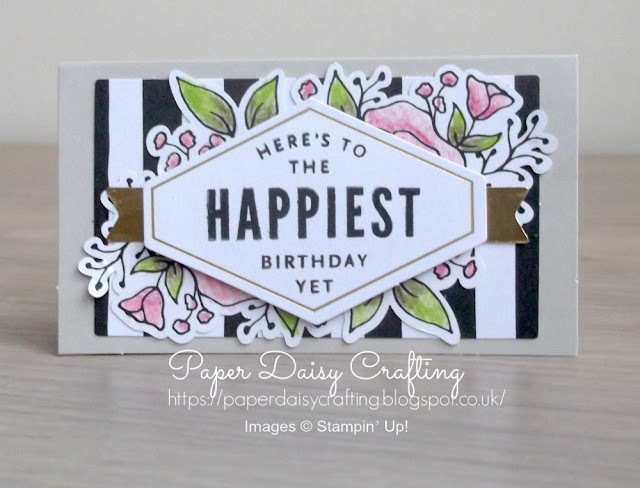 As you can see, I have used the same greeting from the stamp set for all of my cards but there are other greetings suitable for a range of occasions. And they are all in fabulous fonts. The kit costs £31.50 to buy as seen in the video - which means that each card you make costs a little over £1.50. 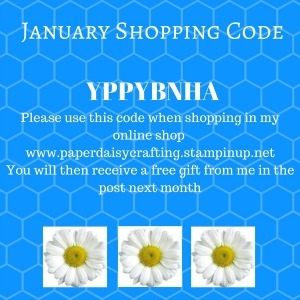 If you buy the kit and then spend at least another 13.50 (easy to do!!) you would qualify for a free Sale-a-bration item. 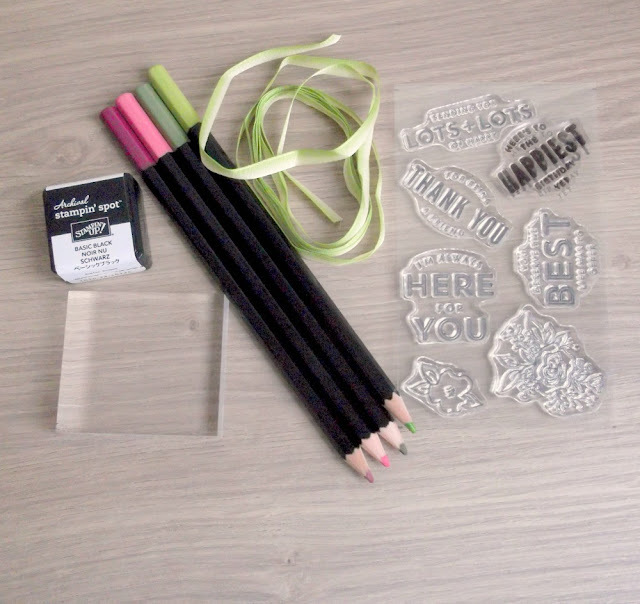 There is also a refill kit available which costs £19.00 and includes everything to make another 20 cards, but not the pencils, stamp set, stamp pad or block. Hope you have enjoyed seeing this kit and that you like it as much as me. I'll be back soon to show you how to put the cards together.